Pfaff Creative 1.5. Pristine condition, used only a few times. 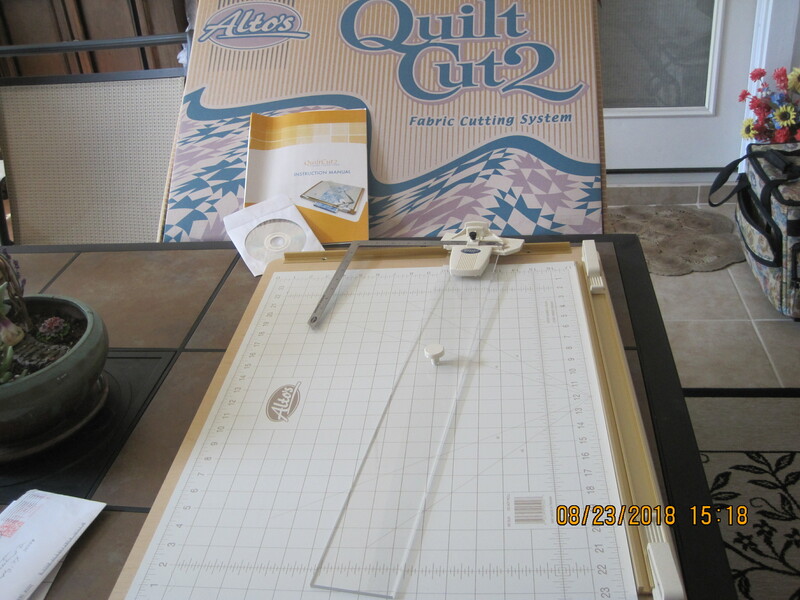 Includes all accessories plus Embroidery Unit in original, sealed box. Asking $1200. Contact Teddie Hanophy using the form below or call 817-576-2160 if interested. Elna Diva sewing machine with all parts and book for sell. Asking $250. Contact Carol Johnston using the form below. Includes a rolling case with a separate case for the embroidery module. In addition, there are over $250 worth of accessory feet including a walking foot, concealed zipper foot, binder foot, 4mm rolled hem foot, and the edge guide foot all in their original packaging. There are also some prewound bobbins and new unused ones. This machine is in excellent condition and has only been sporadically used for 1.5 years. Selling to upgrade. MSRP is $4999.00 for the machine alone. Asking $2100.00 for all. E-mail Karen at beardiemom1@gmail.com or call 803-315-2440. Located in the McKinney/Princeton area. 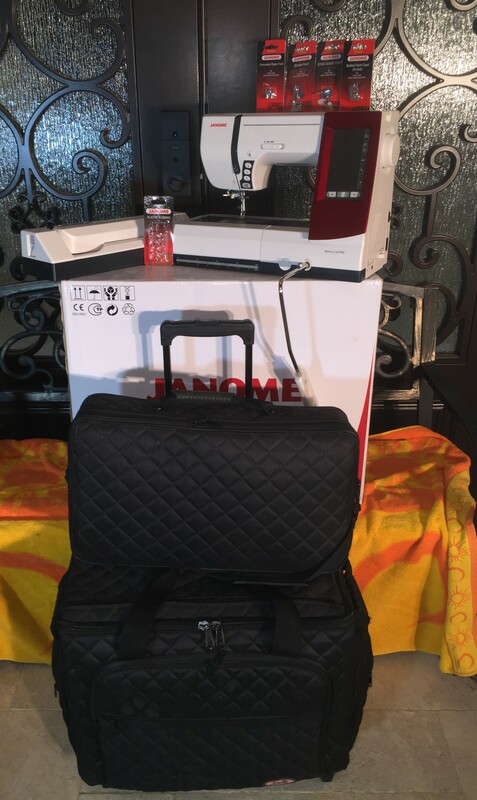 Janome New Home 712T (Treadle) – Asking $375. Treadle foot control — requires no electrical powerYou get the machine and table. Unfortunately, I am currently unable to locate the 4 additional presser feet that came with the machine. 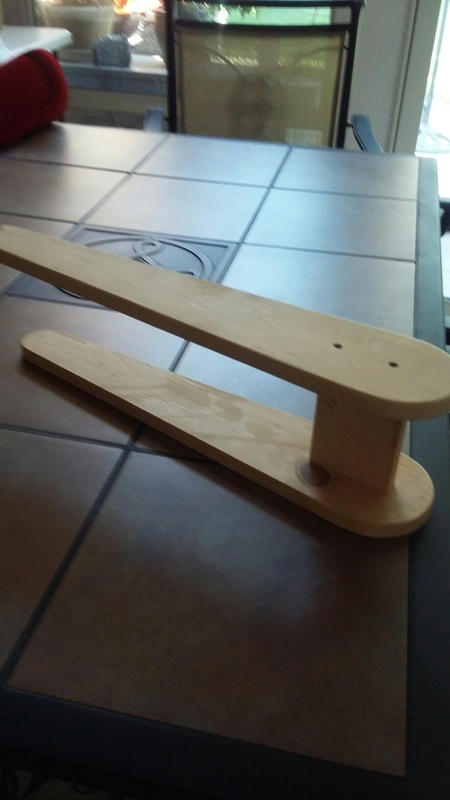 It does have the standard zig zag foot on it. The sewing machine does have a big scratch where I tried to drop it down into the table. I’ve also posted it on Craigslist, which has more photos. 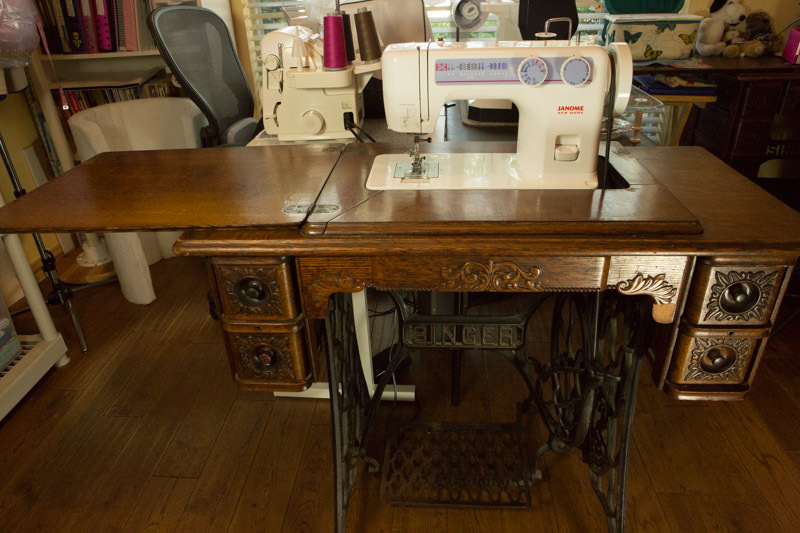 This is a working Singer 401A Slant-O-Matic sewing machine, with many presser feet, 2 button hole machines, and all of the black disks that do different decorative stitches. Many extras. This takes a Class 66 bobbin. I’ve made a brief video showing it working. 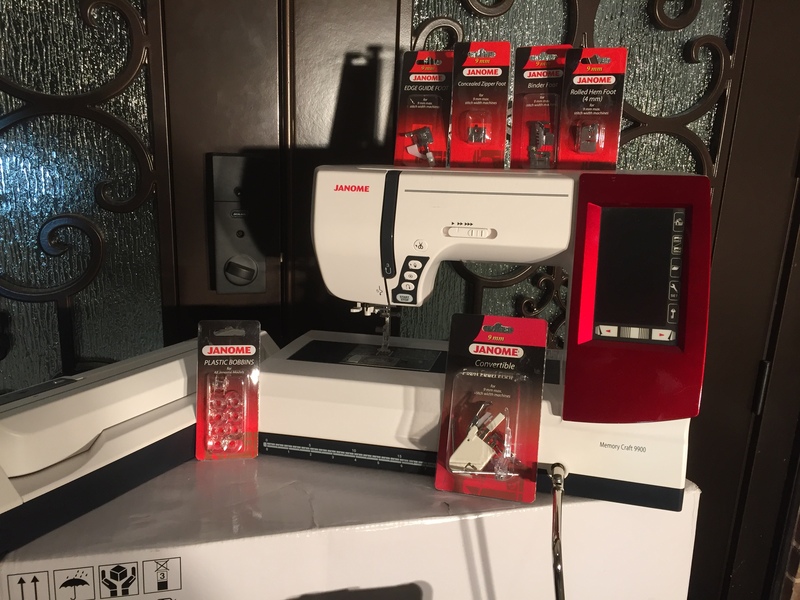 Juki F300 Home sewing machine 1year old like new Serviced 11/26/13 $450 Bernina 180 with embroidery module $500 Contact Jane if interested. DISCLAIMER: The Plano Chapter holds no responsibility for any items bought, sold, or offered for free through the newsletter.